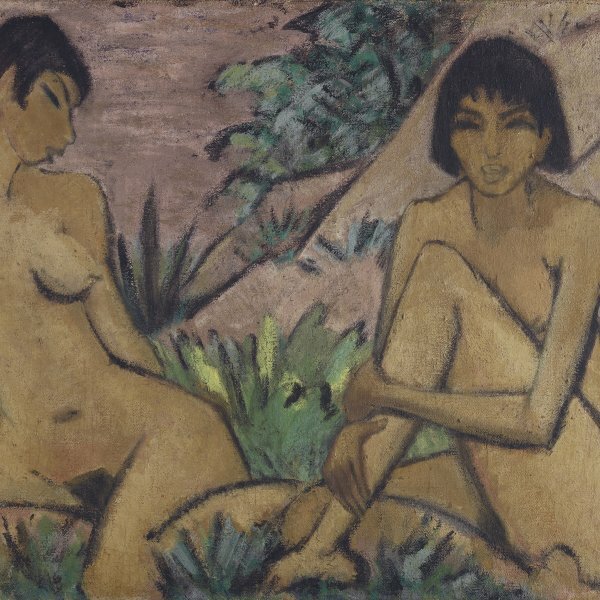 As in many other paintings based on his first illustrations for books and magazines, in The Lady in Mauve Lyonel Feininger makes use of a small drawing entitled La Belle, which was executed in 1906 and published in the French magazine Le Témoin in 1907 with the title L’Impatiente. 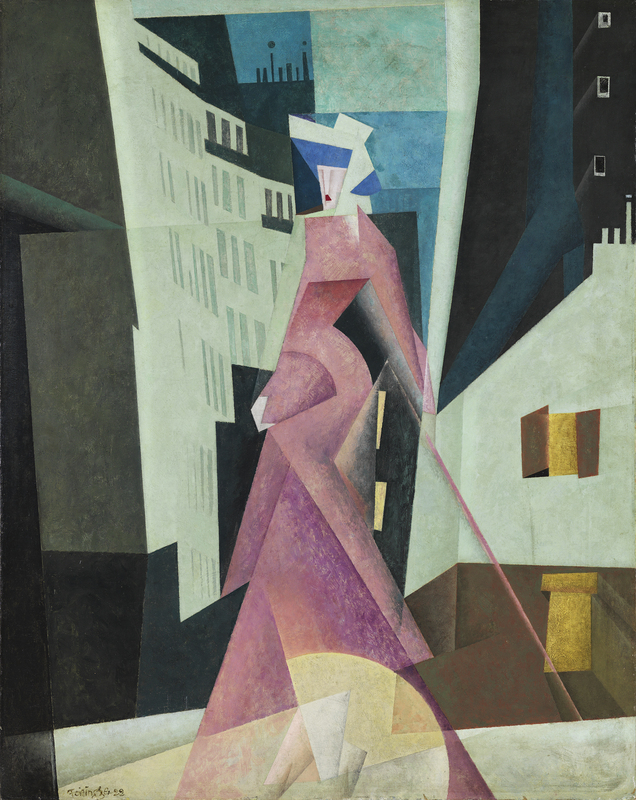 Although the basic scheme of that early work, which shows an elegant female figure strolling through the streets of Paris viewed from behind, her torso slightly turned towards the viewer, is evidently the same, in the painting the image is fragmented and destabilised as a result of the mark left on Feininger by Cubism and Futurism, and the influence of the structure of his own musical compositions. In his commentary on the present work, Ulrich Luckhardt precisely stresses the fact that Feininger combined his work as an artist with his interest in music, especially during his stint as a teacher at the Bauhaus in Weimar. According to Luckhardt, “the severe form of the fugue, the laws of different voices, subject and counterpoint it observes, are reflected very precisely in Feininger’s paintings, ” chiefly in the repetitions of forms and in the harmony of planes and colours of The Lady in Mauve, which is contemporaneous with his Fuge VI für Orgel in C major.